Offering HIV testing to people at health checks when they register at a new GP surgery in high-prevalence areas is cost-effective and will save lives, according to a study involving over 86,000 people from 40 GP surgeries, led by Queen Mary University of London (QMUL) and the London School of Hygiene & Tropical Medicine. The researchers are calling on healthcare commissioners to invest urgently in the roll out of HIV screening to all 74 high HIV prevalence local authorities in England (those with more than two diagnosed HIV infections per 1,000 adults). People with HIV have a near normal life expectancy if they are diagnosed early and have treatment, and those taking effective treatment are no longer infectious to other people. But in the UK around 13,500 people do not know that they have HIV, meaning they miss out on treatment, remain infectious to others and become more expensive to treat in the future. HIV treatment is expensive and increased testing could potentially further increase costs. Health care planners need reliable estimates of cost-effectiveness of screening but estimates are few and until now, have not been based on robust data from randomised controlled trials. Dr Werner Leber from QMUL said: "We've shown that HIV screening in UK primary care is cost effective and potentially cost saving, which is contrary to widespread belief. This is an important finding given today's austerity. Financial pressures, particularly within local authority's public health budgets, mean that the costs of HIV testing are under intense scrutiny, and in some areas investment in testing has fallen." 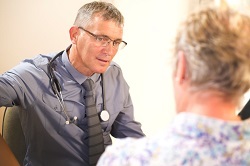 Dr Clare Highton, City and Hackney Clinical Commissioning Group (CCG) said: "Public health, specialist and CCG commissioners should take note of these important results showing the value for money of screening for HIV in primary care. This intervention means that people with HIV are able to live longer and healthier lives and the spread of infection to other people is halted." The study, published in The Lancet HIV, examined data from an earlier research trial in Hackney - a socioeconomically deprived inner London borough with an HIV prevalence rate of 8 per 1000 adults. The trial involved 40 general practices, where they tested the effect of rapid fingerprick HIV testing as part of the standard health check during registration, and found it led to a four-fold higher HIV diagnosis rate. Factoring in the higher costs of care for people whose HIV is diagnosed late, they were able to predict that HIV screening could become cost-effective far sooner than this, and may even become cost-saving if the long-term healthcare costs of late-diagnosed patients are much higher than those of patients diagnosed earlier, as has been observed in Canada. Eleven authorities* have HIV prevalence similar to Hackney and 74** of 325 authorities in England are defined by NICE as high prevalence and could benefit from screening. The estimated annual cost of rolling out the screening programme to all 11 Hackney-level HIV prevalence authorities would be approximately £600,000 (£4 million for roll-out to all 74 high prevalence authorities). This does not include increased healthcare costs resulting from earlier HIV diagnosis and treatment which would fall under other NHS budgets. Dr Rebecca Baggaley, lead author of the study and Honorary Lecturer at the London School of Hygiene & Tropical Medicine, stated that: "Currently NICE uses a threshold of £20,000 to £30,000 per Quality Adjusted Life Year (QALY) gained to gauge whether the health benefits of an intervention offer value for money to the NHS and its patients. 'QALY' is a widely used measure of health that combines length and quality of life. We found that over 40 years, primary care-based HIV screening in high prevalence areas would cost an estimated £26,626 per QALY gained and therefore warrants funding in the UK." The study has some limitations as some data, including probability of viral transmission to partners and quality of life, have been estimated based on international literature and may therefore not accurately reflect the Hackney situation.